This omelette is packed with goodness and will set you up for the day. To make the omelette, whisk together the eggs and season to taste. Melt the butter in small ovenproof omelette pan set over a medium-low heat (a 20cm pan would be ideal). 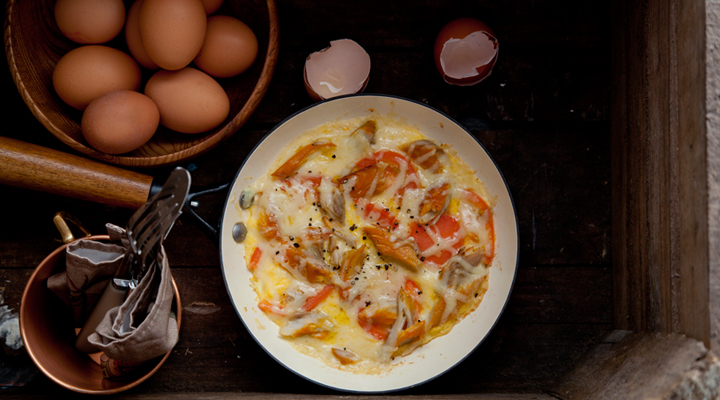 Pour in the eggs and stir gently, then add the flaked smoked mackerel, tomato and cheese. Cook for 2 minutes, then place under the grill and cook for another 2 minutes. Slide the omelette onto a dinner plate.There's no need to fold it - just eat!